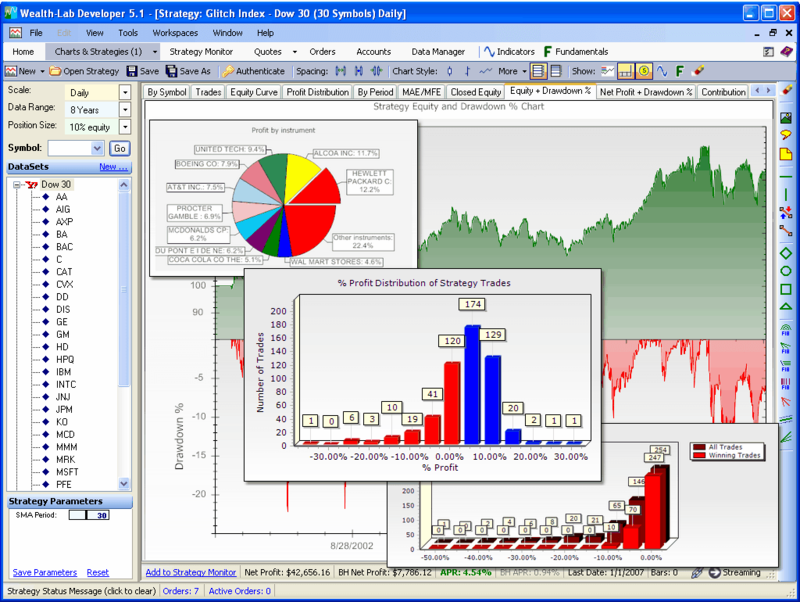 Wealth Lab is a technical analysis software as well as an electronic trading platform owned by Fidelity Investments. The client runs on Microsoft Windows .NET Framework v4.0 and requires internet access to function properly. Licensed users can program and backtest trading strategies for stocks and futures. Fidelity premium account holders can use the platform to place trades produced by their trading strategies directly to their brokerage accounts and even setup auto-trading systems. Wealth-Lab has an integrated programming environment based on C# syntax with added versatility derived from using its own pascal-like programming language, Wealthscript. Although it is geared toward programmers, it has a drag & drop feature that allows non-programmers to create their own trading strategies based on technical analysis without the necessity to edit or even view any source code.